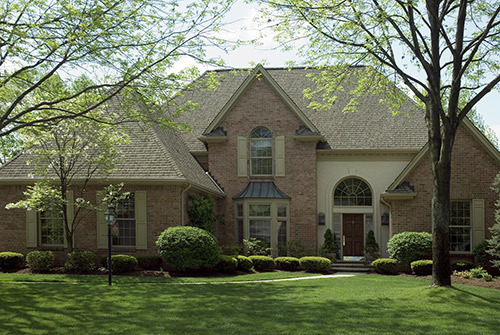 Local Trusted Roofing Company Serving Cary, NC | NC ReBuild, Inc.
No matter what type of product or service we’re seeking, we all do one thing before we consider buying or calling the company: we check the reviews. In this day and age, we’re almost programmed to read about other people’s experiences before we purchase something or sign on the dotted line. At NC Rebuild, Inc., we have spent the last 20 years ensuring that our customers in Cary and throughout the Triangle area are more than happy with our workmanship and materials. This commitment shows. We have the testimonials to backup our claims of being an expert exterior remodeling and roofing company. We also know that if you’re fully satisfied with both our people and our completed projects that you will reward us with something very valuable – your referrals. We have been proudly helping area home and commercial property owners for over two decades. In that time, we have worked on thousands of properties, doing everything from simple repairs to full-on siding and roof replacements to large-scale bathroom and kitchen remodels. If you are contacting us because you are dealing with storm damage, we have experience working with most insurance providers and can assist you with the process – every step of the way. We will inspect the damage and provide you with a quote that you can take to your insurance company. At NC Rebuild, Inc., we want to ensure that you are fully satisfied with your completed project. We offer guarantees on all our workmanship and materials, and we are fully licensed and insured. We provide free consultations. Let us come to your place of business or home and inspect the area that you need fixed or updated. Call us today at (919) 625-5453 to schedule your free estimate.